Ronald Wade in 2006. Photo is by Robert Cohen, St. Louis Post-Dispatch. 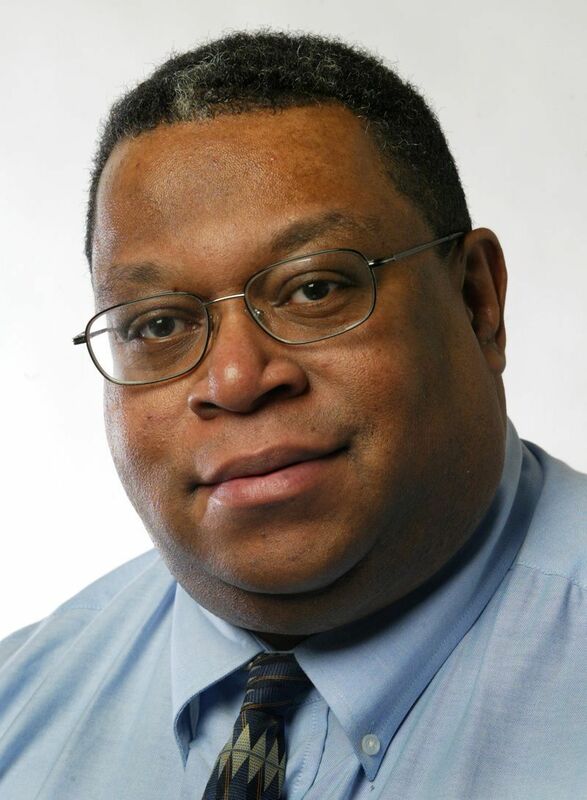 The St. Louis Press Club and St. Louis Post Dispatch are pleased to offer a new scholarship for outstanding college journalism students to honor an extraordinary and much-loved journalist - Ronald (Ron) W. Wade. Ron passed away at 62 in January, only a few days after a diagnosis of advanced pancreatic cancer. His sudden death shocked his family and journalists around the country who had worked with him. A brilliant editor at national and regional newspapers, Ron was admired and respected in newsrooms from coast to coast. His extraordinary kindness, humility, humor, wit and way of putting others before himself drew people to him. Affable and remarkably humble, Ron went out of his way to help others. He worked at the St. Louis Post-Dispatch the last 11 years of his life. In St. Louis, Ron was night news editor, the heart and soul of the Post-Dispatch, who had top responsibility every night for getting out the daily and Sunday papers. Before joining the Post-Dispatch, Ron was deputy news and sports editor at the Philadelphia Inquirer for 11 years. He also was the assistant managing editor for news at the Minneapolis-Star Tribune for 11 years. Ron’s journalism career began in his hometown at the Chicago Tribune. He worked also as a copy or news editor at the Washington Post, Buffalo-Courier Express, Newsday and Louisville Times. Ron was a Renaissance man who was knowledgeable, it seemed, about everything, and he enjoyed a lifelong love of learning. Ron was class president and valedictorian at Martin Luther King, Jr. High School (now King College Prep High School) in the Hyde Park neighborhood of Chicago and then attended Harvard University, where he was the first African-American to become a class president. He graduated with honors in East Asian studies in 1976 and spoke fluent Mandarin and Cantonese. Ron was one of the first African-American journalists to travel to the People's Republic of China. Despite his far-flung travels and adventures, Ron never lost his love for Chicago. Ron was a lifelong Cubs fan and fan of every other Chicago sports team. He lived long enough to see the Cubs win the World Series, and that is a comfort to his friends and family. The Ronald W. Wade Journalism Scholarship not only honors Ron’s achievements but also helps future journalists get the education and training they need to start their careers. The National Association of Black Journalists was dear to his heart, and he was devoted throughout his career to mentoring young journalists of color and all backgrounds. The first recipient of the award has been selected; she is Gabrielle Hays, of St. Louis, who will be a senior at the University of Missouri - Columbia in the School of Communications this fall. She is interning this summer at NBC Los Angeles working on NBC Nightly News with Lester Holt. "I have one more year of college left and I wish I could express how much this scholarship eases some of the anxieties of being a student," she writes. "I'm not sure any amount of words could express my gratitude. What I will say is one day I hope to give back in the way that this scholarship is giving back to me." The Press Club and St. Louis Post-Dispatch are funding the annual scholarship. We are asking friends and admirers of Ron to make donations in his memory to help establish an endowment to sustain the $2,500 annual scholarship. To make a tax-deductible donation to the Ronald W. Wade Journalism Scholarship fund, you can mail your check to St. Louis Press Club, PO Box 410522, St. Louis MO 63141 (note: Wade scholarship donation on check) or donate by credit card by Clicking Here.